What’s more inspiring for fashion design students than meeting professional designers? 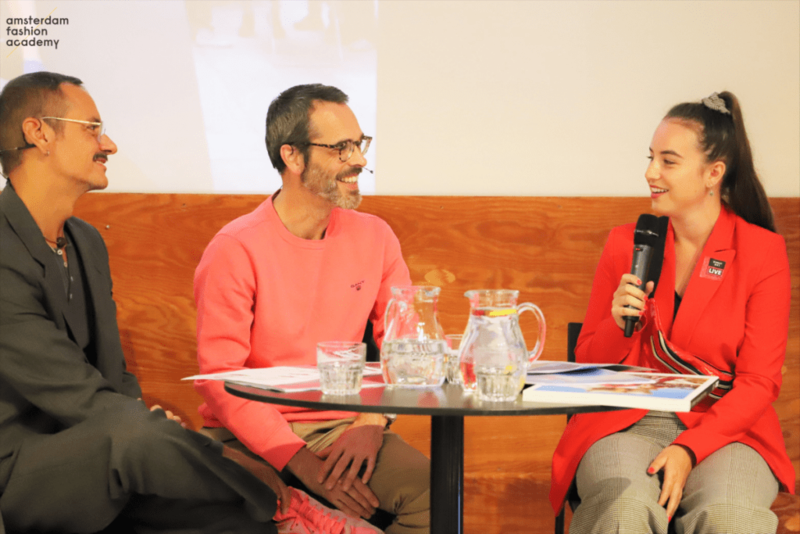 On Thursday, 13th of September, we brought the 2nd and 3rd year BA students to Viktor & Rolf’s masterclass at Kunsthal Rotterdam. 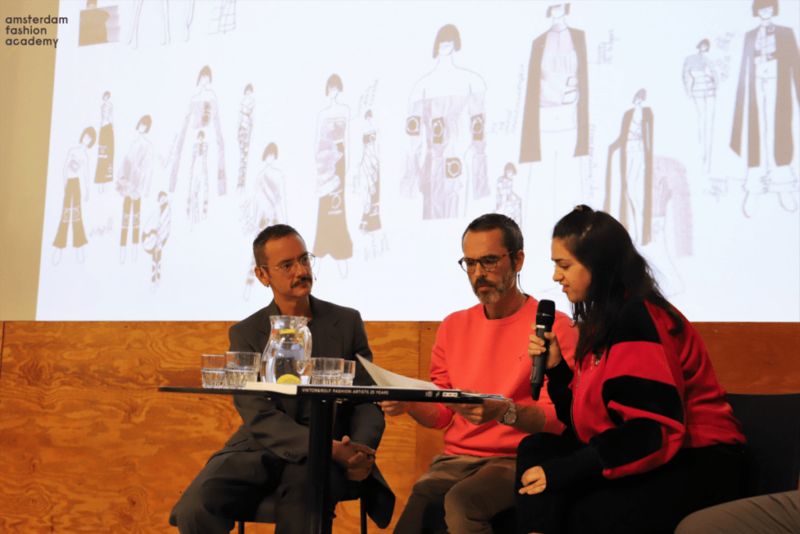 Three of our Fashion with Textiles Design (Hons) BA students were selected to present their fashion portfolios to Viktor & Rolf in front of the audience. Isabelle Wildenburg, Myrthe van der Leden and Zara Kanaan just came back from their internships and have been immersed immediately into projects and competitions at our international fashion academy. “It was a really overwhelming experience. Being selected by Viktor & Rolf was unexpected, as well as having the opportunity to meet them and talk with them. Even though they are very famous, we felt very welcome and at our ease while showing them our work”, they say. Just like the other 2nd year BA students, Isabelle, Myrthe and Zara spent few months away from our boutique academy and did an internship in the fashion industry. Isabelle spent six months in New York City working at luxury streetwear brand Nomad VII by Anne Bowen. Myrthe was intern in Copenhagen at Tobias Birk Nielsen where she worked in the photoshoot and in the preparation of the look books of AW18 collection and collaborated the in creation of the SS19 collection. Zara worked at Amsterdam’s based company Stieglitz where she made prints for the SS19 collection and managed social content. During this new academic year, they will work on their dissertation and final collection that will be presented in June at the graduation ceremony. Oh, by the way, did you check the 2018 graduates on this page? Cover photo by Fred Ernst. Other photos by JFstyles Photography.